Published by The Climate Group. View original article. LONDON: The European renewable energy market received a significant boost with the announcement that the world’s largest wind farm will be built off the coast of the Netherlands. When fully operational, the 600MW Gemini offshore wind farm will be able to meet the power needs of 1.5 million people, while cutting carbon dioxide by 1,250,000 tons. The project will also be crucial for reaching the Netherlands’ 14% renewable energy target by 2020. The Gemini site was chosen based on its conducive weather conditions –typical wind speeds are wind force 5 and the 150 turbines have been designed to allow operation up to gale force 11. In fact the turbine’s rotor will, at 150 meters above sea level, be taller than the highest office building in Europe. Siemens are leading the project, which will provide employment for 500 people during the the three year construction phase and 120 permanent positions for the first fifteen years of operation thereafter. Currently the international renewable energy sector supports 6.5 million jobs, with close to one million created in 2013 alone. With 70% of the total construction budget of 3 million euro to be raised through financial support from over 20 parties involved, the Gemini offshore wind farm will be the largest farm to be funded though project financing. The dominant shareholder is Canadian independent power producer, Northland Power Inc., with Siemens Financial Services, Van Oord and HVC all holding smaller stakes in the project. However, with a recent study from Imperial College London verifying that wind energy is a long term investment given that the modern wind turbine now lasts 25 years, project financing in lieu of financing from the major utilities firms, could be the future of wind energy. Just yesterday, the European Investment Bank announced a EUR 587 million (US $804 million) loan to support the Gemini renewable venture. “Investment in infrastructure that ensures secure supply of energy to consumers, reduces carbon emissions and reduces costs by using innovative turbines reflects the wider commitment of Europe’s long-term lending institution in the Netherlands”, the Vice President continued. The Gemini wind farm is the latest initiative in what has been a very positive period for the alternative energy market. 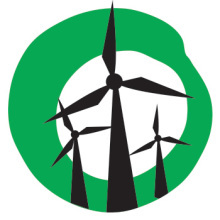 In February the Global Wind Energy Council revealed international wind capacity grew by 13% in 2013. Similarly, research from the University of California and Syracuse University found that when total costs include environmental impacts, US wind energy costs virtually the same as natural gas. Excellent. Yet more evidence of the increasing use of wind energy around the world. Try doing this in Port Phillip Bay and you will soon see how many people become antis. This is why Port Phillip Bay has never been proposed even though it would be ideal with consistent light winds, shallow and surrounded by 4 million people meaning very low transmission loss. Developers know that the support for turbines would evaporate overnight.